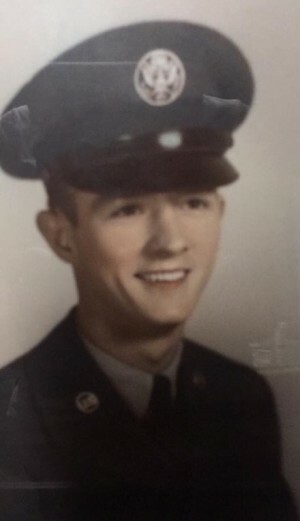 Robert “Bobby” Lott, devoted husband, father, grandfather and great-grandfather, died peacefully Thursday, April 4, 2019, at the age of 89. He departed this life as he lived it—with quiet dignity, surrounded by loved ones. Bobby was born on October 9th, 1929 to Robert Lott and Cleo Waldrop in Lanett, Alabama. He graduated from Lanett High School and began a career in the military. Bobby served as Airman First Class in the United States Air Force for six years, fighting bravely in Korea for a year. Once home, he worked as Supervisor at West Point Manufacturing Company in West Point, Georgia until his retirement. Following his retirement he worked for Calloway Gardens for twenty years. On June 8th, 1952, Bobby married Bonnie Griffin, and together, they raised two sons, Bob and Mark. Throughout his life, Bobby had a passion for golf and was fortunate to be able to attend the Masters tournament in Augusta on several occasions. He also loved to travel with his family and work in his garden. He was well known throughout the community for his pepper jelly. Over his lifetime, Bobby became very active in the congregation at Langdale United Methodist Church, faithfully attending services until his condition no longer allowed. Bobby was preceded in death by his father, Robert, mother, Cleo, and beloved wife, Bonnie. He is survived by: his children, Bob, married to Sherry, and Mark, married to Cinda; his four grandchildren, John Mark married to Amy, Nick, Kathryn, married to Nate, and Brandon, married to Leila; and his five great-grandchildren, Harrison, Hartley, Evie, Henry, and Luke. Funeral services will be held on Sunday, April 7th, 2019 at 2:00 PM (EST) at the Johnson Brown-Service Funeral Home Chapel in Valley. The Reverend Rusty Tate and Mrs. Kathryn Lott will officiate. Interment will follow in Marseilles Cemetery in West Point, GA. The family will receive friends Sunday afternoon from1:00 PM (EST) until the service hour at the funeral home. In lieu of flowers, donations can be made in his honor to the Barrel of Love at Langdale United Methodist Church.